Wikki Stix Christmas Card Crafts for Kids of All Ages! Wikki Stix Christmas Card Crafts for Kids! Kids love to create their own Christmas cards, but finding crafts that kids are able to do independently is sometimes challenging! With Wikki Stix, kids of all ages can create something special to give! 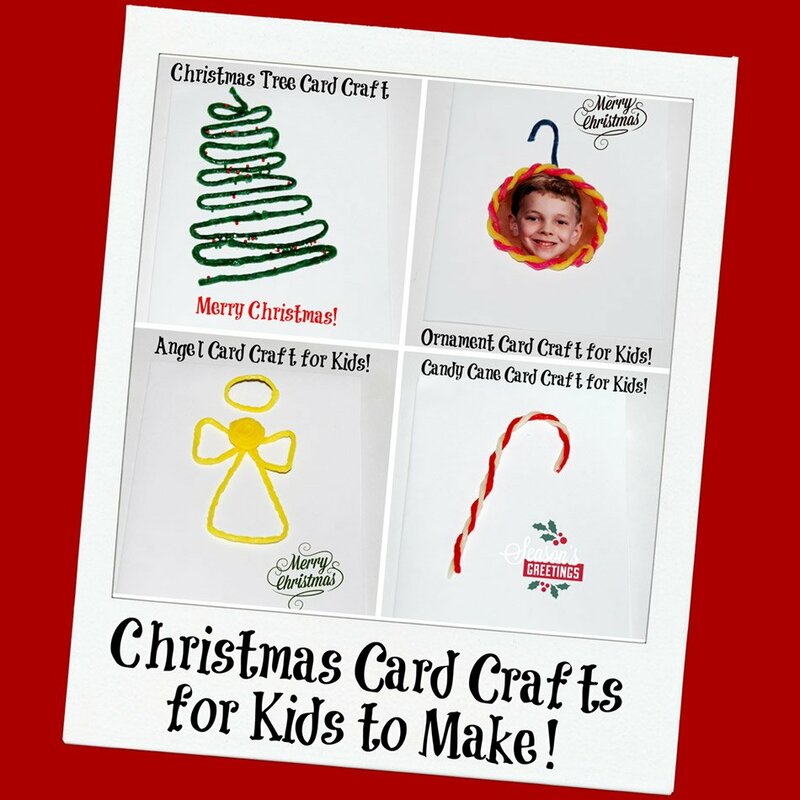 Come try the Angel, Candy Cane, Ornament, or Christmas tree crafts for card-making FUN this holiday season! Wikki Stix Christmas Tree Card Craft for Kids! Invite the kids to fold the paper in half (horizontally) and in half again to make their card. On the front of the card, starting at the bottom, have the kids create a ribbon-effect with green Wikki Stix. Beginning on the left to right side, create squiggly lines until they come to the end of the Wikki Stix. Keep adding additional green Wikki Stix to make smaller curved lines until the kids have formed a Christmas tree shape (see photo). If desired, kids can sprinkle glitter or Christmas sugars on top of the tree. Shake off any extra decorations and the card is ready for a special hand-written message for family and friends! Wikki Stix Candy Cane Card Craft for Kids! Have the kids make their card per the directions given above. The candy canes are simple enough for even the smallest crafters to make! Simply press one red and one white Wikki Stix together at the top. Twist the two strands together and then form a hook at the top. 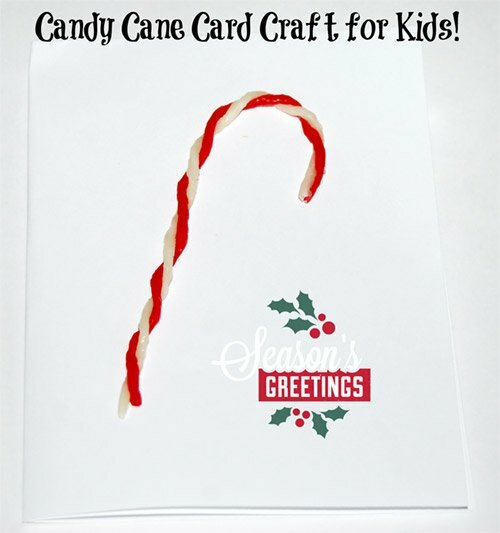 Press the candy cane craft directly onto the front of the card and it is ready for the hand-written message. Wikki Stix Ornament Card Crafts for Kids! Invite the kids to fold the paper for the card as given in the directions above. Using two colors of Wikki Stix, have the kids twist the colored strands and then press the ends together to form a circle (see photo). Cut out the child’s photo and place it on the backside of the Wikki Stix created circle. 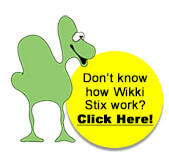 The Wikki Stix will hold the photo in place without the need for glue or tape. Have the kids make the hanger for the ornament with an additional Wikki Stix and press it onto the backside of the photo. The entire ornament craft can then be mounted on top of the card for a personalized gift for family or friends. Wikki Stix Angel Ornament Craft for Kids! Again, have the kids fold the paper card per the directions given above. 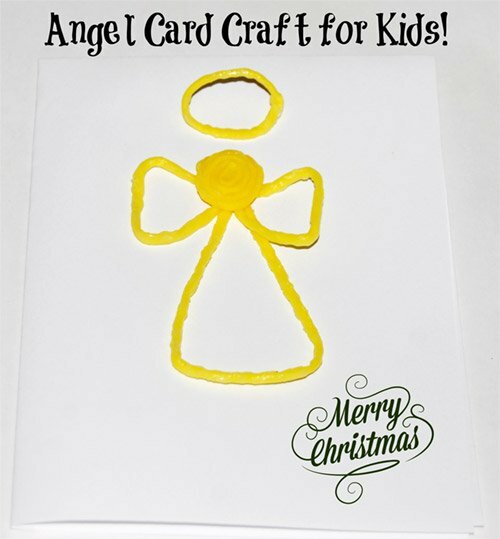 To create the Angel craft, invite the kids to fold the ends of one yellow Wikki Stix to meet at the center. Flatten the ends of the shape to resemble Angel wings (see photo). With a separate yellow Wikki Stix, kids should make a triangle. Press the point of the triangle to the center of the Angel’s wings. The yellow Angel’s head is created with a tight Wikki Stix pinwheel. If desired, the kids can cut a smaller piece of the remaining yellow Wikki Stix to make a circle for the halo. Press the entire Angel craft onto the created paper card for a special greeting during the holiday season! 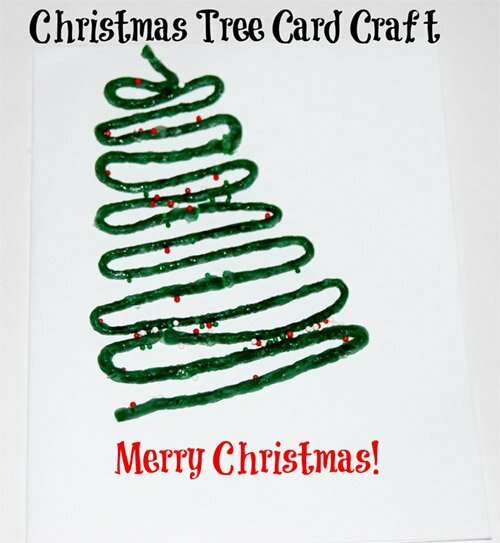 Christmas Tree Card Craft for Kids! 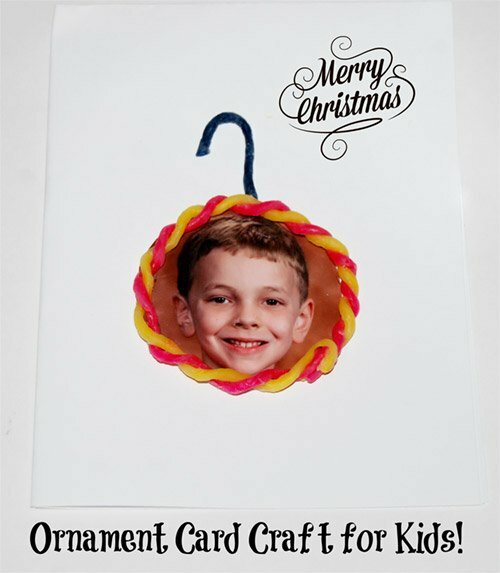 Ornament Card Crafts for Kids! Angel Ornament Craft for Kids!